5.2 We can compose XSLT template for you! The latest release of Improved Import and Export extension added possibility to accept XML tables of any format with the help of XSLT editor. The editor can be found inside the jobs you create, it is job specific, meaning that for every task you can create a dedicated XSLT template. For Magento 2 import, XSLT editor can be used to interpret custom-formatted XML files. Making such files Improved Import and Export compatible. For Magento 2 export, XSLT editor can be used to define the format of the output XML file. This can be particularly useful if you intend to use it somewhere else. 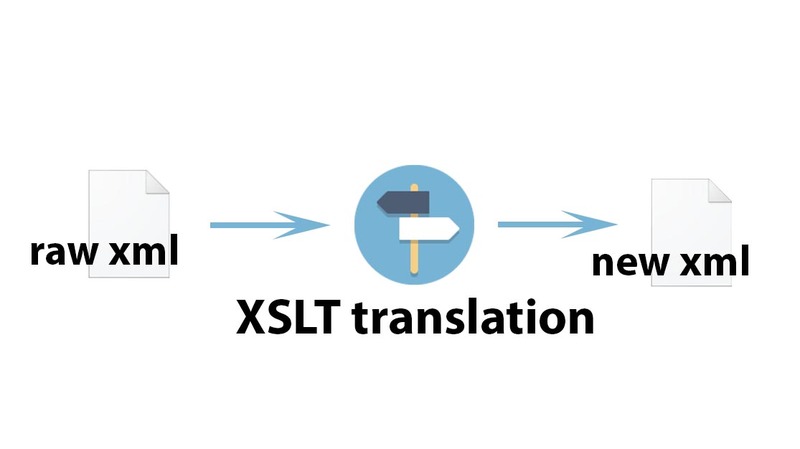 XSLT stands for EXtensible Stylesheet Language Transformations. As the name suggests, it is a language for transforming XML documents. XSLT is used to transform one XML document into another, and not necessarily XML. XSLT belongs to XSL(T) languages. XSLT is used to transform XML documents. XPath is used in XML documents navigation. XQuery is used for querying XML documents. It all started with XSL – an XML stylesheet language. You can think of it as a CSS for HTML. However, XML doesn’t use predefined tags to identify its entities, so each tag can mean different object or subject. Here where the XSL comes, it defines how each XML element should be displayed. XSLT is the most important part of XSL. It tells XML document how to form entries, how to name them, which punctuation to use, and what document should look like in the end. As you can see from the illustration above, you only need a raw XML document and an XSLT template. When the raw XML undergoes the XSLT translation, you get a new XML document. In the transformation process, XSLT defines which parts of the raw document should match one or more conditions/templates. When such match found, XSLT transforms it into the new document. There, at w3schools.com, you will find all necessary information about XSLT. XSLT can do much more for your new XML document, and the choice is really up to you and the developer you are working with. To understand how you can take advantage of XSLT editor in Magento 2 import and export processes you should first identify your workflow. You are working with a supplier that sends you catalog updates in XML, and you probably can’t import this XML right away. XML formatting differs significantly, and Improved Import and Export extension cannot consider every case. Now, having XSLT editor you can import the XML file that your supplier sends you. Just write or ask your developer to write proper XSLT translation, paste it into the XSLT editor, and run the job. The extension will interpret the XML for you. Now, if we compose a proper XSLT template, we can translate this very XML file into the format supported by Improved Import and Export extension. 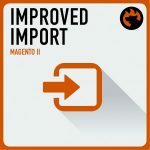 Besides, you need to consider what attributes Magento 2 uses for identifying imported entity properties. Having considered the XML table formatting and attribute names supported by Magento 2, we can compose a proper XSLT template. If you know how to interpret XML, you can see that in the XSLT we are mapping initial XML table values with the required. Now, that we have an XML file and its interpretation in XSLT, we can compose an import job. In this post, we are providing basic Improved Import and Export workflow example. If you want to learn more about how to create an import job, read through the extension manual. Navigate to your Magento 2 admin panel and proceed to System > Improved import/export > Import Jobs and click ‘Add New Job’ button. Run through the general settings, select the imported entity and upload your XML table. Proceed to the ‘XSLT Configuration’ section and paste the composed XSLT template. Then, click ‘Test’ XSL Template’ button. The extension will run a test to make sure the XSL template is composed properly. If the template is ok – proceed to run the job. Complete the rest of the settings and hit ‘Save & Run’ button. That’s it. You have just imported a custom-formatted XML table to your Magento 2 store. Now, how can you benefit from the XSLT while exporting entities from Magento 2? The first thing comes to mind is synchronization with your CRM system. For example, if you need to track sales and new customers. Your CRM probably supports a dedicated XML file format. With the help of XSLT, you can translate XML files Improved Import and Export extension gives to you into a format supported by your CRM system. Let’s compose a sample export job with reference to the Criteo file we have tried importing in the Import use case. Navigate to your Magento 2 admin panel and proceed to System > Improved import/export > Export Jobs and click ‘Add New Job’ button. Run through the general settings and select the exported entity. That’s it. You have just exported a custom-formatted XML table from your Magento 2 store. To compose XSLT templates you need to understand how to use and interpret XML. For a regular Magento 2 store administrator, it is a hard task. We can compose XSLT template for you! Get any questions about automating import/export processes answered.